This playdough ice cream activity was such fun – and the homemade playdough smelled perfect! This silly vegetable snack is perfect for serving after reading The Deep Blue Sea. This paper plate dog is a fun craft for kids to make AND to play with afterwards. Check out the waggling ears! This sunset art for kids uses watercolour paints to create a gorgeous effect. Get your kids ready for school with these cute school bus crafts! These homemade spinning tops are SO easy to make! A great craft for a wide range of ages. This homemade strawberry playdough is made using real strawberries for color and scent! 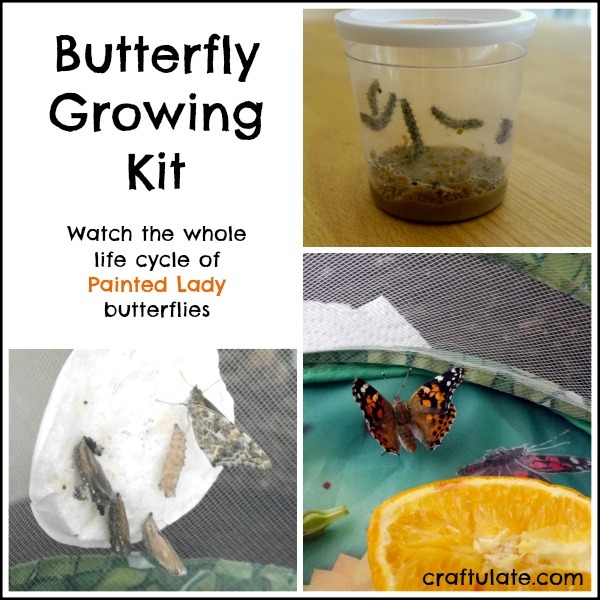 This butterfly growing kit was enjoyed by the whole family – it was such a wonderful experience! 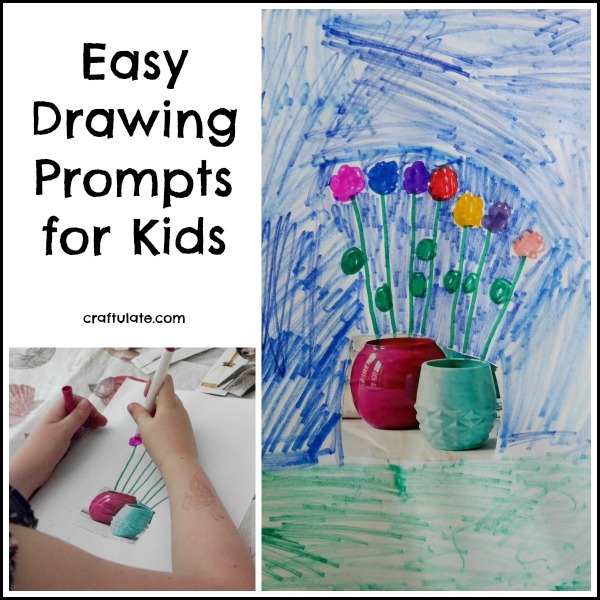 These drawing prompts for kids are perfect for encouraging creative and imaginative artwork! Kids can make this hands free collage by pretending to be a vacuum cleaner – and using straws to make the collage! This homemade chocolate playdough smells fantastic and it is so easy to make. This no-cook bubble dough was fun to make from just a few ingredients – and it had an amazing fragrance!